Supported by the contributions of its major tenants, Moscow’s third largest airport Vnukovo enjoyed an impressive surge in passenger traffic growth at 20.6% in February 2018, when some 1.21 million were served. Like in the previous months, the main increase came in international business, with 346,000 passengers served (42.8% year-on-year). The most popular destinations during the coldest month of the Russian winter were Istanbul, Phuket, Milan, Baku, Goa, Dubai, Bangkok, Dushanbe and, regionally, to Minsk, Tbilisi, Tashkent, and Gyumri. The volume of traffic on domestic flights also increased, by 13.6%, amounting to 870,000 passengers. The greatest demand was for flights to St. Petersburg, Sochi, Krasnodar, Rostov-on-Don, Makhachkala, and Mineralnye Vody. 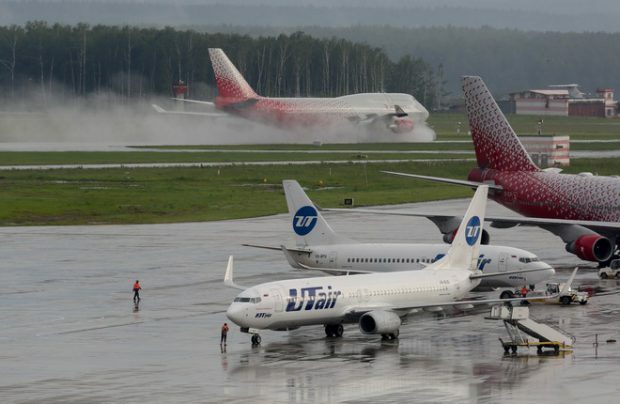 Two carriers of Aeroflot Group – Rossiya Airlines and the country’s only LCC Pobeda Airlines – brought the largest number of passengers to the Moscow airport in February, and their traffic share at Vnukovo is now close to 50%. Pobeda expanded its route network from Vnukovo by starting scheduled flights to Karlovy Vary and Saransk, as well as a charter service to Venice. The operator’s share in Vnukovo’s traffic has now reached 28%, as a consequence of its increase to 337,900 passengers, up an impressive 38.6% year-on-year. Passenger numbers for Rossiya Airlines in February amounted to 266,400, some 22% of Vnukovo’s total traffic during that month. However, Rossiya’s positive trend was only registered on its international air routes. UTair Aviation, the Moscow hub’s base carrier, retained a 38.5% share of all passenger traffic, with 465,000 passengers transported via Vnukovo in February. This performance was supported by a 10.7% increase in the number of flights. Traffic carried by the airport’s largest foreign carrier Turkish Airlines amounted to more than 32,000 passengers, up 27.5% year-on-year, and new airlines brought an additional 27,600 passengers to the airport’s traffic figures in the month during which Vnukovo also handled almost 6,000 tons of freight and mail, 19.9% more than a year ago. Vnukovo is Russia’s third largest commercial air hub and annually serves more than 170,000 flights across a route network which covers the entire territory of Russia, as well as destinations in the CIS, Europe, Asia, and Africa.